January 10: 5 POWER Lessons From 5 Leaders Who Made History On This DAY! The best known people in the world are not those who just developed themselves, but made some kind of contribution to the world, through which they have continued to live through their work for generations. Here are lessons from 5 such leaders born this day, who have been the reason to contribute enormously to the mankind. 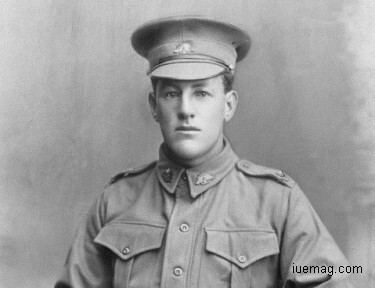 Albert Jacka was an Australian military man hailed for his gallantry during the Gallipoli Campaign in World War I. For his bravery, he was awarded the Victoria Cross (VC), the highest decoration for gallantry that can be awarded to members of the British and Commonwealth armed forces. Jacka was the first Australian to be decorated with the VC during the First World War, receiving the medal for his actions during the Gallipoli Campaign. He later served on the Western Front and was twice further decorated for his bravery. 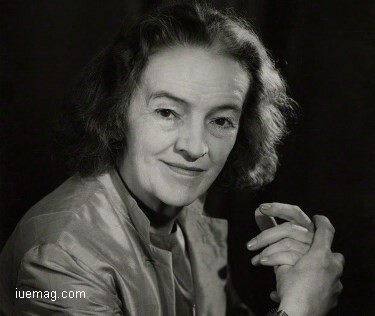 Barbara Hepworth was an English artist and sculptor. She was one of the most outstanding and influential women artists of the twentieth century. Her artistic works were among the earliest abstract sculptures produced in England. Eldest of the four children in the Hepworth family, she developed an early fascination with natural forms and textures and decided to become a sculptor when she was a teenager. She received her training in sculpture from the Leeds School of Art and later went on to earn a county scholarship at the Royal College of Art. After finishing her studies at the college, she traveled to Italy and learned the art of carving the marble. She became one of the leading figures in the 'new movement', associated with direct carving. She held successful joint exhibitions and received appreciation for her earliest works which seemed to be naturalistic with simplified features. She also designed the layout for ‘Circle: An International Survey of Constructivist Art’, a 300-page book that surveyed Constructivist artists. During the 1960s, she received a number of commissions for truly huge sculptures, an example of which is ‘Four-Square Walk Through’, a gigantic geometrical piece. Over time, her artistic talent matured and she began experimenting with new wood carvings that incorporated string and metal. Later, an increase in demands and public commissions encouraged her to employ assistants for her work and also to produce editions in bronze. She spent her later life serving as a mentor to dozens of other artists and writers. She is rightfully regarded as the most enduring artist of her times whose landscapes and linear abstract works are quite breath-taking in their clarity and vision. Katherine Burr Blodgett is not only one of the most renowned scientists of her era but also someone who is credited with breaking the stereotype that was imposed on women who wanted to be a part of the scientific community and in that regard it must be said that she was a rousing success. During the Christmas vacation in college Blodgett visited the ‘General Electric’ plant, where she was told by chemist Irving Langmuir that she would need to get a master’s degree in order to have a job there. She acquired her master’s degree from the ‘University of Chicago’ and in the same year she was employed by ‘General Electric’. In the process; she became the first female scientist to have ever been employed by ‘General Electric’. Katie’s most important contribution was the development of an accurate and precise method to measuring transparent objects. Using the same technique she developed non-reflecting glass coated with multiple layers of an oily film developed by her mentor. In addition to this, she successfully obtained 8 patents throughout her lifetime. 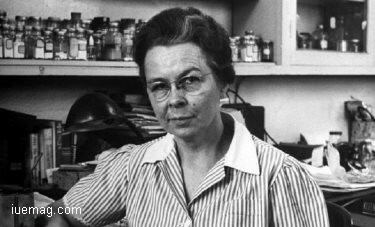 In the year 1945, Katherine Burr Blodgett was honoured by the prestigious ‘American Association of University Women’ with the ‘Achievement Award’ for her role as a female scientist. The ‘US Chamber of Commerce’ inducted her into their list of 15 women of achievement, in the year 1951. Blodgett broke many barriers in her career as a scientist of world renown and became a high flying member of the corporate community through her work as a researcher for one of the biggest corporation in the world at the time. It would not be an exaggeration to say that Blodgett is one of the most gifted physicist-inventors across any era and considering the fact that she also had to overcome huge odds due to the prevalent gender politics of the era; it can be safely said that her life as a scientist was well and truly an inspiring one. A pioneer of the bebop style, drummer Max Roach spent decades creating innovative jazz. He was an American jazz percussionist, drummer, and composer. 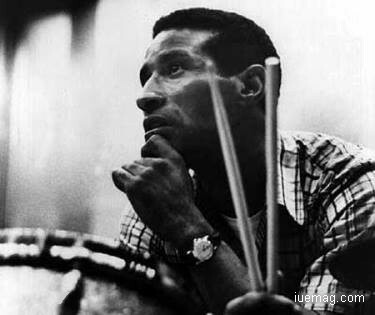 Max Roach performed his first big gig in New York City at the age of 16, substituting for Sonny Greer in a performance with the Duke Ellington Orchestra at the Paramount Theater. Max Roach began venturing into jazz clubs of the 52nd Street. He also played at 78th Street & Broadway for Georgie Jay’s “Taproom”, where he could be found performing alongside schoolmate and jazz baritone saxophonist Cecil Payne. A good way to sum up his drumming abilities on the drum set is to look at his improvisational skills and ability to create exquisite sounding drum solos. Roach used music to address the need for racial equality. Despite the risks that taking an outspoken political stance posed to his career, Roach continued to support the Civil Rights Movement. Roach's adaptability and inventiveness spurred him to work on an increasingly diverse list of projects. A founding father of bebop and a visionary bandleader, Roach brought percussion to the spotlight during the big-band era. He challenged musical barriers and brought about innovative changes to jazz by paying as much attention to a song’s beat as its melody. As a teenager Roach backed pioneers of modern jazz such as Duke Ellington and Charlie Parker, and performed recordings with Parker’s Ko-Ko and Miles Davis. He became the first jazz musician to receive a genius grant from the MacArthur Foundation, in 1988. He was inducted into the Down Beat Hall of Fame in 1980 and the Modern Drummer Hall of Fame in 1992. 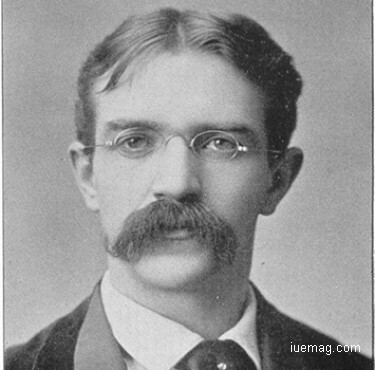 Sir Charles George Douglas Roberts was a Canadian poet and prose writer who is known as the Father of Canadian Poetry. He was almost the first Canadian author to obtain worldwide reputation and influence; he was also a tireless promoter and encourager of Canadian literature. Beginning with Orion, and Other Poems (1880), in which he expressed traditional themes in traditional poetic language and form, Roberts published about 12 volumes of verse. He wrote of nature, love, and the evolving Canadian nation, but his best remembered poems are simple descriptive lyrics about the scenery and rural life of New Brunswick and Nova Scotia. He was the first to express the new national feeling aroused by the Canadian confederation of 1867. His example and counsel inspired a whole nationalist school of late 19th-century poets, the Confederation group. Also a prolific prose writer, Roberts wrote several volumes of animal short stories, a genre in which he became internationally famous. He published numerous works on Canadian exploration and natural history, verse, travel books, and fiction. At his death he was regarded as Canada's leading man of letters. Besides his own body of work, Roberts is also called the “Father of Canadian Poetry” because he served as an inspiration and a source of assistance for other Canadian poets of his time. Any facts, figures or references stated here are made by the author & don't reflect the endorsement of iU at all times unless otherwise drafted by official staff at iU. This article was first published here on 10th January 2017.